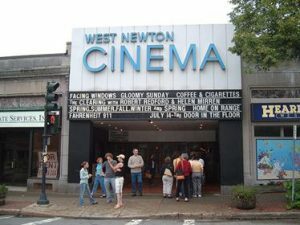 Residents of Newton, MA have their homes supplied by the Water & Sewer Division of the Department of Public Works (see link at http://www.newtonma.gov/gov/dpw/water/default.asp ) The following discusses potential water quality issues or concerns as well as water filtration options. The Utilities Division of the Department of Public Works provides water to 24,766 customers, 23,790 wastewater customers and serves a population of approximately 84,000 people. Average usage is 10.4 million gallons per day with a maximum capacity of 13.5 million gallons per day. Water filtration systems can be installed for the removal of any of the potential causes of symptoms you may be experiencing. Water softeners are typically installed to remove dissolved iron or manganese in the water through a technology called Ion Exchange. To remove particulate iron or manganese, a properly sized sediment filter is required. 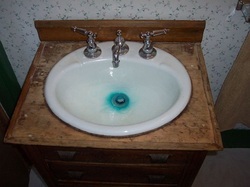 Chloramine can be removed with a carbon filtration system to remove bad taste and odor. In summary, controlling your home’s water quality is attainable through proper water testing and equipment specification with today’s available water filtration technologies at a reasonable price. Proper on-going maintenance is also critical to maintain a consistent level of great water quality. 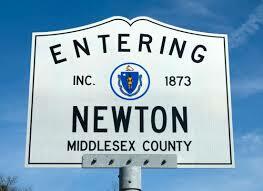 H2O Care is an established, Massachusetts based water filtration and testing firm, formed in 1989. Articles published by the Company can be seen in Water Technology Magazine or linked through the website publications section at h2o care website.